One of the best ways to reduce costs is to choose a VoIP communication plan that best fits the needs of your company. For example, if you make a large number of international phone calls, it makes sense to choose a package that offers these services free of charge. If you are more interested in conference calls, selecting another plan that specializes in these features may better meet your needs. In other words, it does not make sense to pay for a service that you will rarely use. Ultimately, picking a specific plan that caters to your needs will help you reduce costs and offer the flexibility of changing these plans at any time to meet the ever-evolving needs of your business. Another added benefit of having an IT services provider in Los Angeles is that you will receive customer support at any time. If you have any questions regarding the use of VoIP technology, you can contact customer support and you will receive the help you need without waiting forever on hold. Besides 24/7 availability, your VoIP system will be monitored to ensure that it is always working so you will experience little downtime. Over time, this will help your business to remain productive as you will have access to the latest technology and you will receive the customer support you need at any time. The use of VoIP technology will allow you to have access to many features that are unavailable through a traditional landline. For example, you can hold conferences, forward calls, create professional greetings and many other things using VoIP technology. Each of these features can be customized to create a truly unique business experience for each client. An IT services provider in Los Angeles can make your company reach new heights using VoIP technology. Whether you are interested in reducing costs, receiving superb customer support, or having access to a wide variety of features, the use of VoIP services can play a pivotal role in your company. Intelecis is an IT support company that helps businesses reach their full potential through VoIP services and the latest advancements in technology. Our staff is trained to walk you through any IT issues. 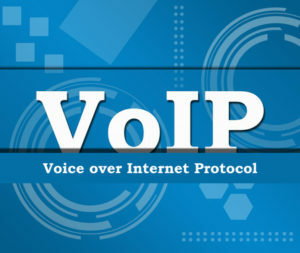 We can help you take advantage of VoIP services. If you have any more questions, feel free to Contact us and let us set up a meeting to discuss the many benefits of VoIP services. Does Your Company Need the Support of IT Services for Los Angeles?